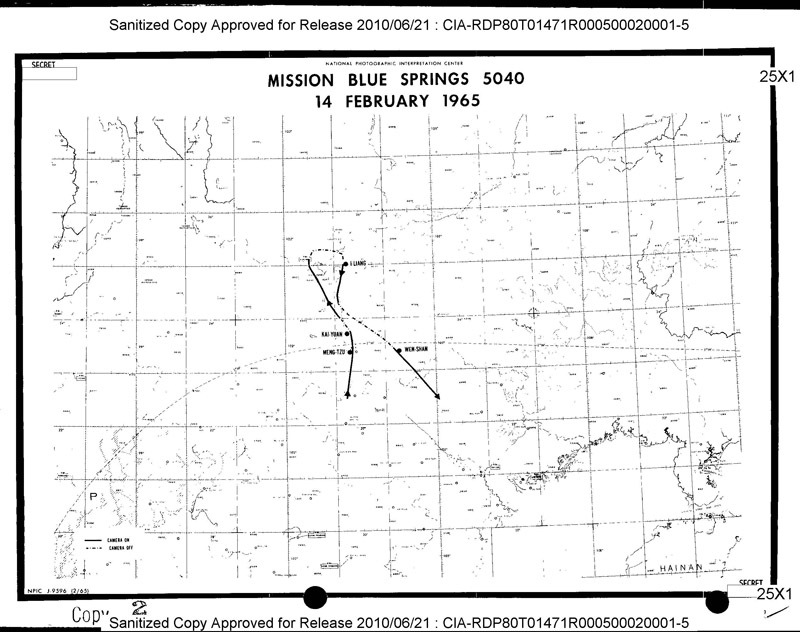 After starting work on analysing typical AQM-34L missions late 2016, Craig Kaston hit gold in the CIA Library Electronic Reading Room. 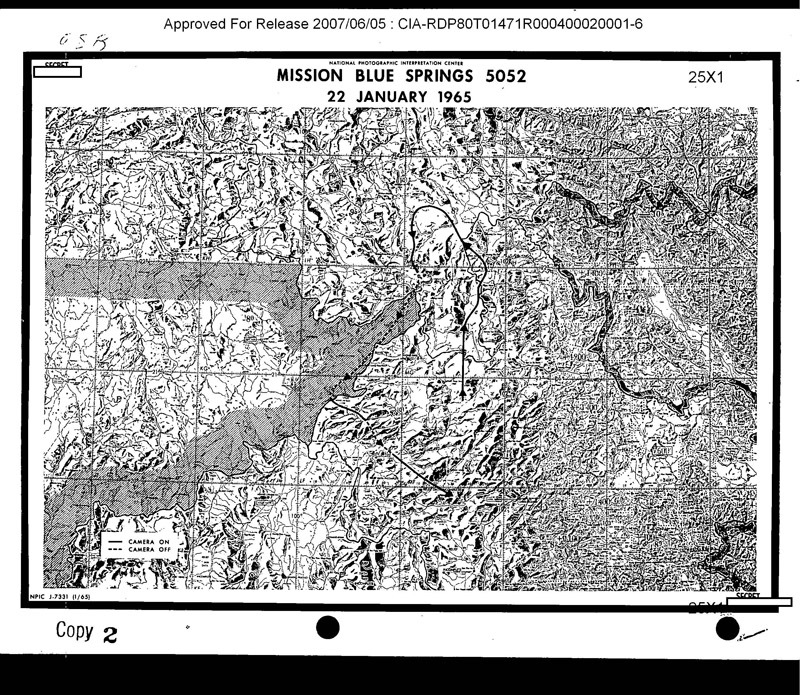 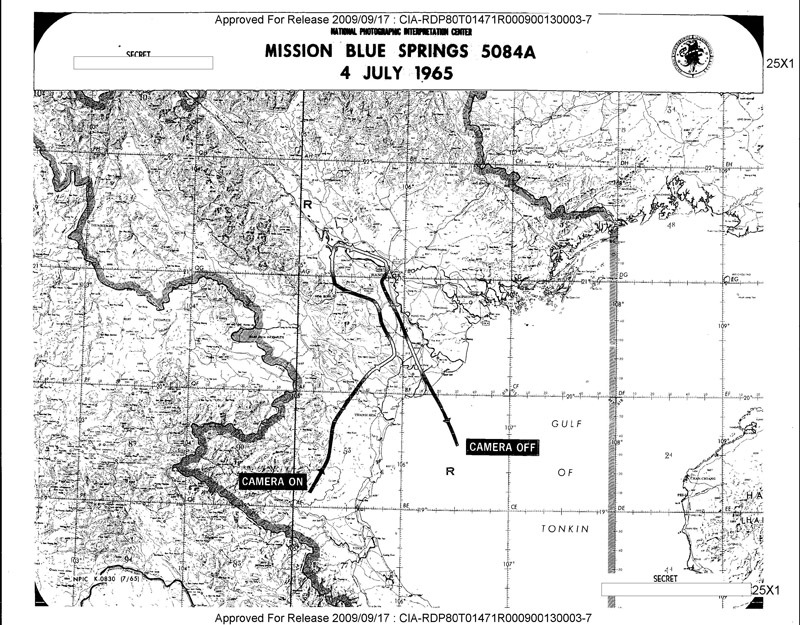 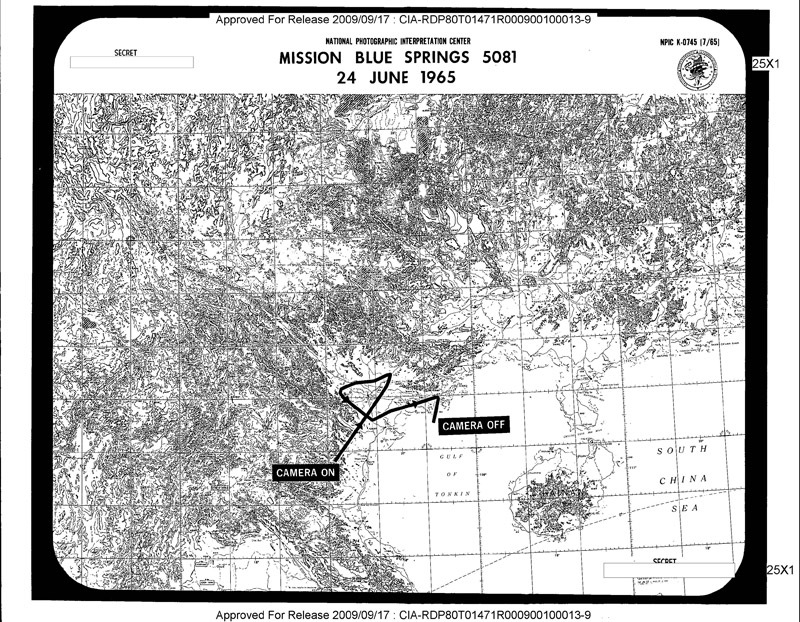 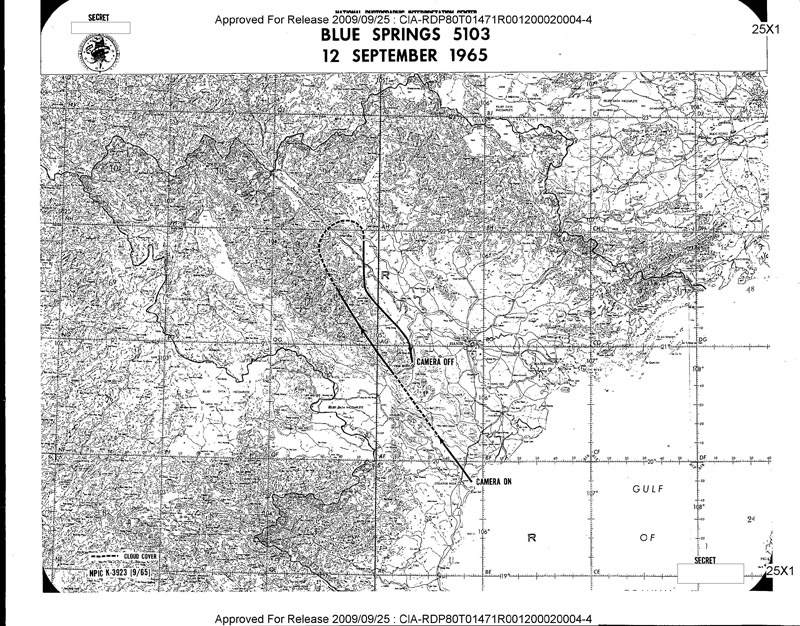 If you enter the search words 'Blue Springs', you get around 400 results of Firebee missions during 1964-1966, including maps of the photo route of the missions. 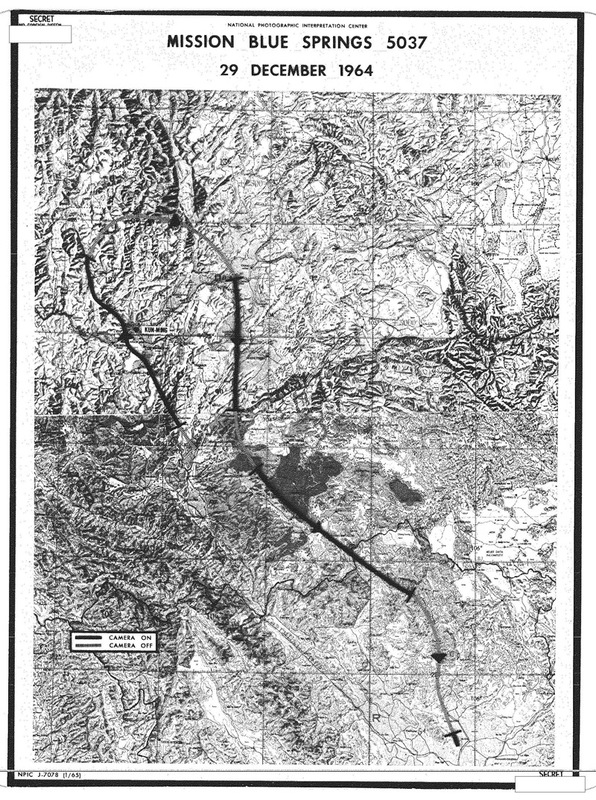 Below I copied the maps from the first ten missions that I found. 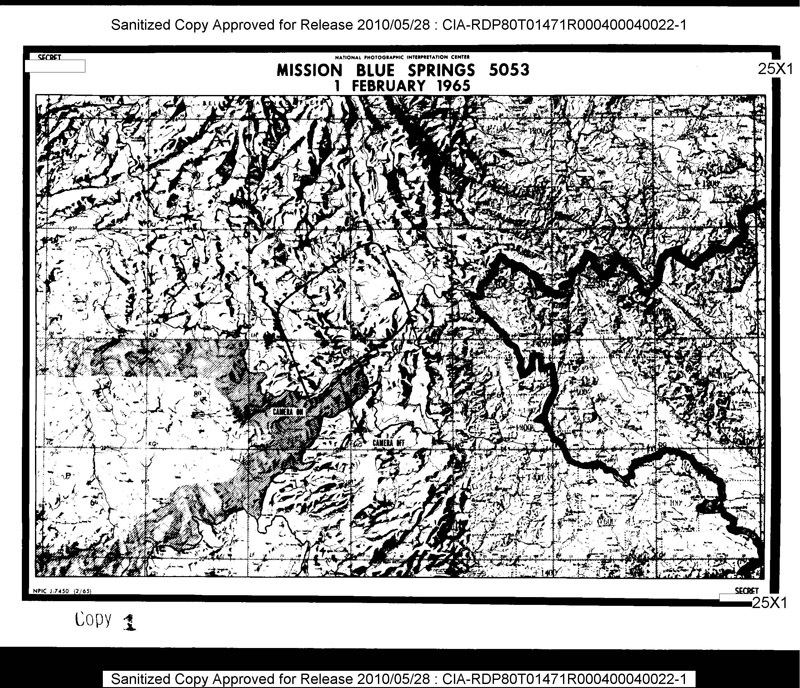 The original PDFs contain much higher resolution pictures, so consult these for more details. 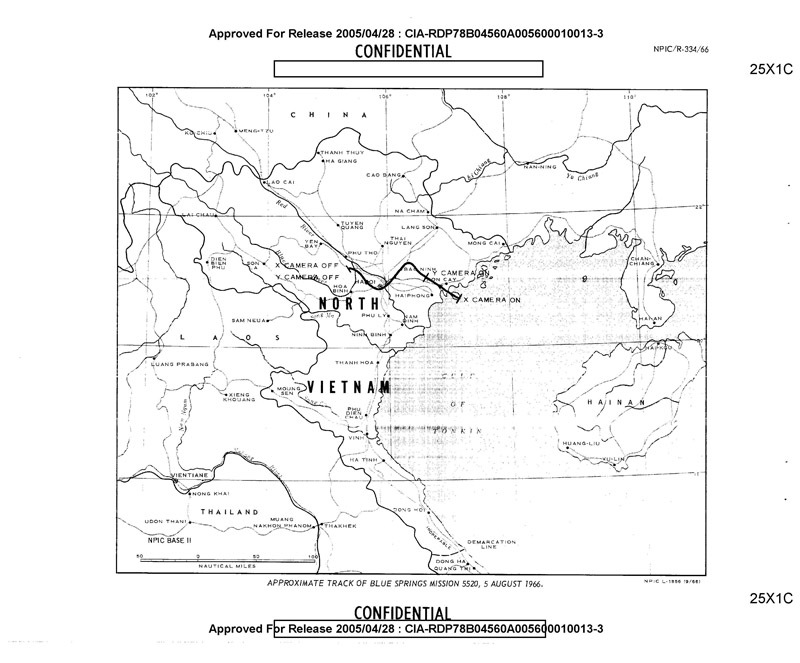 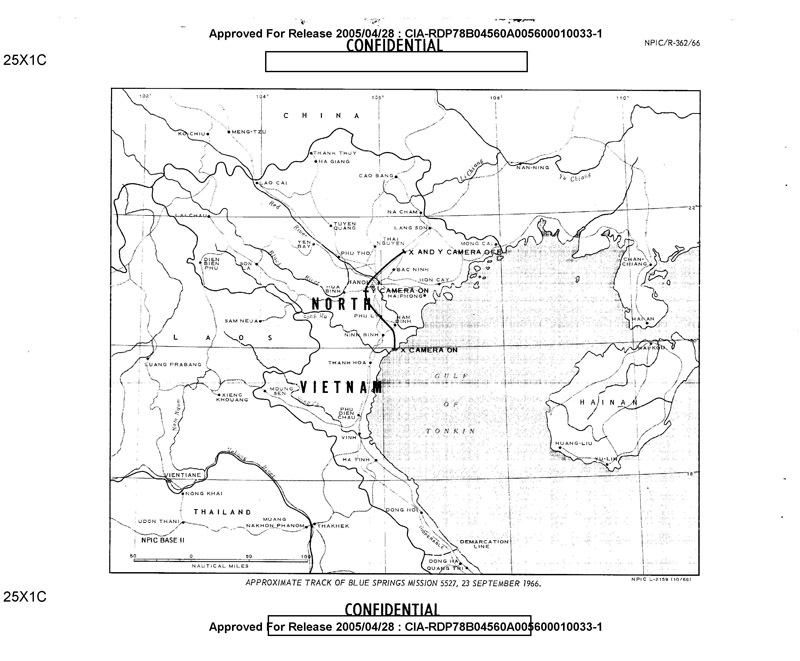 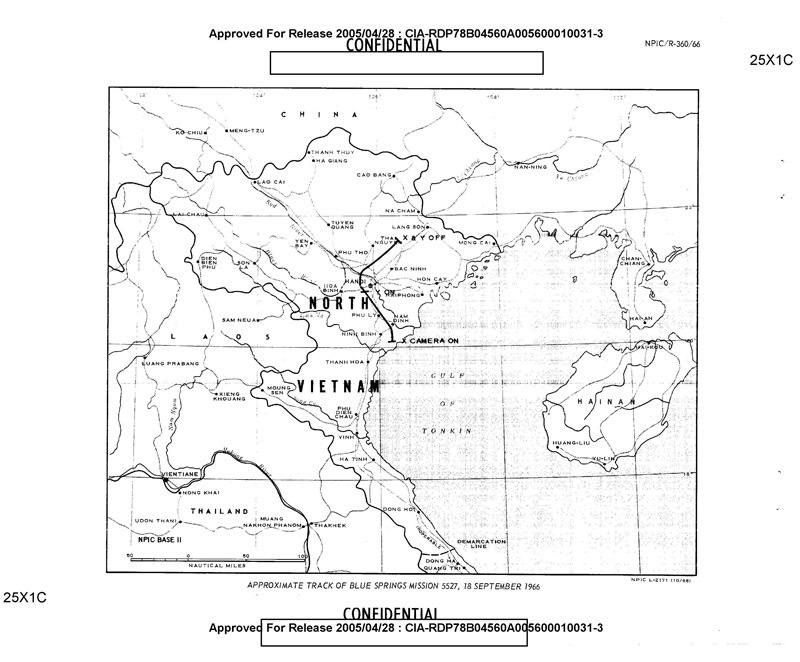 The file names are listed below each picture and can be used for the search in the CIA database. 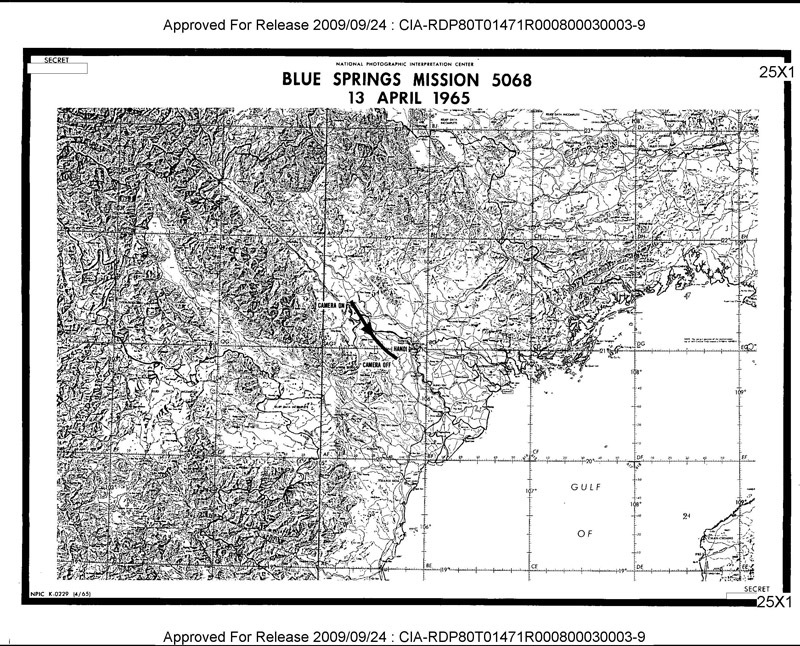 'Blue Springs' was the code name for the 'Lightning Bug' mission of the 4080th Wing, initially Kadena AB, Japan (August 1964) and later Bien Hoa, Vietnam (October 1964).